When Jack Mercy died, he left behind a lot of enemies...and a ranch worth nearly $20 million. Now his three daughters - each born of a different marriage, and each unknown to the others - are gathered to hear the reading of the will. 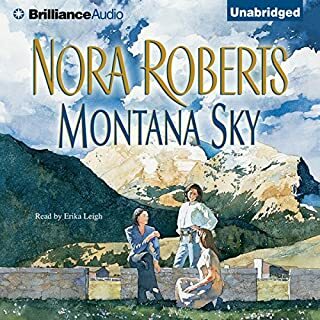 The women are shocked to learn that before any of them can inherit, they must live together on the ranch for one year. Did not want it to end! Did not want it to end! Already miss the characters! Excellent book! Wish there was a sequel! 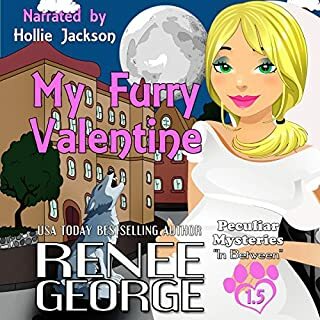 Weeks away from having her first baby, human psychic Sunny Haddock wants to marry the father and love of her life, coyote shifter Babel Trimmel, on Valentine's Day. Then disaster strikes. And keeps striking. Between the personal maintenance disasters and the theft of their weddings bands, it appears Sunny and Babel's nuptials are doomed. Until their friends in the shifter community of Peculiar, Missouri come to the rescue, determined to give Sunny and Babel a happily-ever-after. Very good book! Loving this series! Little but creepy with a little bit of romance. I love it. 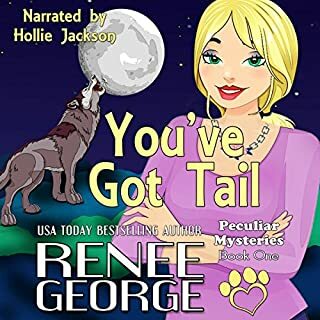 Sunny Haddock, an animal-loving vegetarian psychic, is stoked to leave California behind to start a new life in the Ozark town of Peculiar with her best friend Chavvah Trimmel. She ups the moving date when Chav goes missing, and Sunny high tails it to the small town. What Sunny doesn't realize is that she's moving into a community of were-shifters, and they don't want a human resident. I admit I bought this because it was on sale. I thought why not. Well I’m absolutely hooked on the series and have now purchased them all!